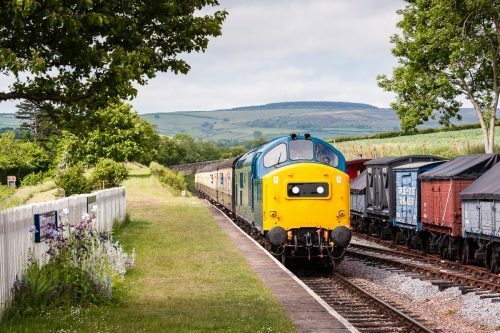 This will be a unique opportunity to ride behind D6948 and experience the sight and sounds of an English Electric class 37 working hard as it climbs the gradients of this scenic west country route to the coast. Class 37s have a particular niche in WSR history, as they were the staple motive power for the heavy stone trains which operated from Westbury to Minehead in the late 1990s and early 2000s. The route also has special significance for D6948, and for some her owners and Group members too, as the coastal section from Watchet to Minehead will bring the loco within sight of her ‘traditional’ home in South Wales once again – being a Cardiff Canton engine for the majority of her working life. Due to the substantial recent increases in road transport cost for locomotives of this size, this is likely to be the last time one of the Group’s locomotives will be able to visit another railway away from our Toddington base. The visit has only been possible on this occasion through private sponsorship of part of the transport cost, so we would encourage everyone to make the most of the opportunity. The Group would also like to thank the WSR and the DEPG for the invitation and are pleased to be able to help support the WSR in such an important year in its recovery. 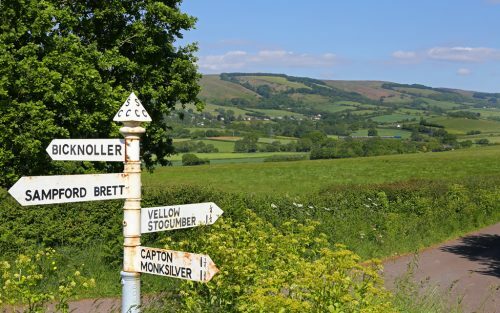 37215 heads towards Stogumber through the stunningly beautiful West Somerset countryside with the Quantock Hills beyond, when it visited the line in 2013. Hopefully a scene to be repeated in 2019 with D6948.